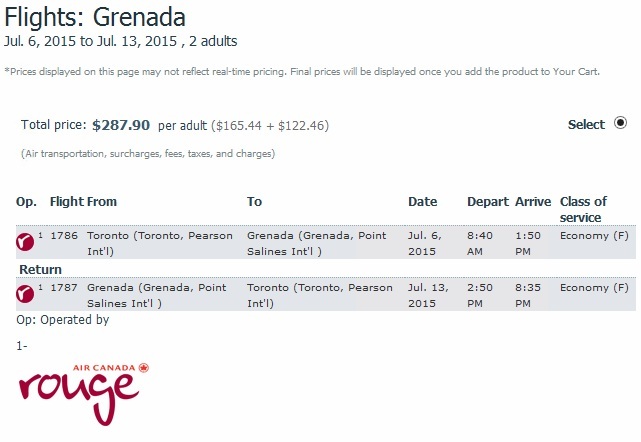 Air Canada Rouge is once again selling some last minute seats on one of their Toronto - Grenada (GND) flights for just $287 CAD roundtrip, including taxes. 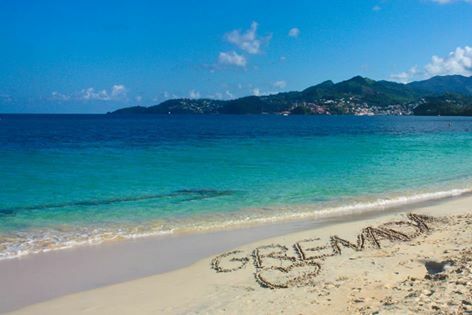 Grenada is an island / country in the southeastern Caribbean, about halfway between St. Lucia and Trinidad & Tobago. 1. Go to the Air Canada Vacations website. - The July 13-20 flight has now dropped to $300 roundtrip including taxes. The typical Air Canada Rouge warning applies: no seatback entertainment, less legroom. Have a look on AirBNB. They're currently showing 42 listings for under $100 CAD per night in Grenada on these exact dates. Hill View - Room 2 - $65 CAD/night, rated 5.0 out of 5 after 12 reviews. Cynthia's Apartments - $78 CAD/night, rated 4.5 out of 5 after 19 reviews. Special thanks to Rishi 'The One' Modi for being the first to spot this deal and share it with the group. toronto, yyz, caribbean, flight deals, southern caribbean, grenada, gnd, air canada rouge, windward islands, point salines and lesser antilles.